Sign up for Broadjam today to follow Greg Newman, and be notified when they upload new stuff or update their news! A very thought provoking song lyrically, also...moderate tempo, minor key tonality, slight modulation towards the bridge, and some backwards and interesting overdubs throughout the song. 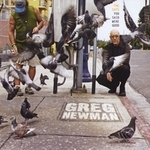 Thanks for supporting Greg Newman! Would you like to help Greg Newman get heard by industry pros by buying them a song submission credit to Broadjam Music Licensing Opportunities?